Are you looking for a reliable solution that will help to resolve MS Exchange error 12014? If yes, then, you are landed at a correct place as we have come up with a reliable approach to resolve this issue quickly. With the growing popularity of digital marketing, a mode of communication is also increasing nowadays. 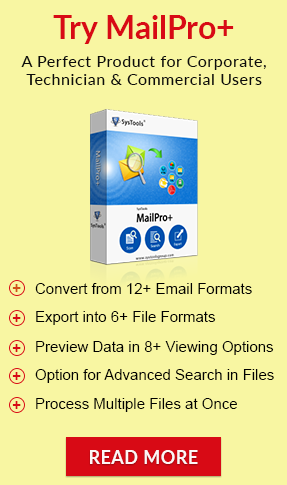 There are varieties of email application available for saving the essential information. Amongst all, Exchange Server is a platform that helps to establish the mode of cross-communication online. However, most of the time users may encounter some errors related to Exchange Server. Out of which one such error 12014 received by MS Exchange users. Therefore, in the upcoming session, we are going to discuss a complete solution to fix Exchange 12014 Error. Before that, let us explore all possible reasons behind this error. If Fully Qualified Domain Name is changed by some user on the send or receive connector for matching outside DNS code. Then, the Certificate issue occurs and it will create a hassle in the continuity of workflow. Another reason for Exchange 2007, 2010, 2013, 2016 error 12014 can be that a particular user has installed the custom certificate On MS Exchange Server and the modified certificate has similar FQDN. Although, a certificate is not empowered for SMTP. Transport Layer Security that requires a correct certificate is to be installed in the Personal Certificate Store of the system. To resolve Microsoft Exchange error 12014, a comparison must be made between FQDN that is returned with a warning message and one which is explained on every connector and also including “CertificateDomains” values, that are explained on each certificate. Note: “CertificateDomains” value is just a sequence of Subject as well as Subject Alternative Name Fields on a certificate. The main objective behind the comparison is to check each connector which is exploiting the TLS contains the corresponding certificate. It involves the connector’s FQDN, which is present in the “CertificateDomains” values of a certificate. It is mandatory to examine service values on every certificate. If users are utilizing a TLS certificate, then it is necessary to make it accessible for SMTP service with the help of SMTP service value. If the fully qualified domain name is not properly defined on “CertificateDomains” parameter, then there is a need to make the new certificate. Also, it is mandatory to specify the FQDN of a connector which returns the warning message. For creating a new certificate user can use this command “New-ExchangeCertificate”. In any case, users have installed some other third-party custom certificate on a server and has matched the FQDN, but the created certificate is not allowed for SMTP service, then the certificate should be enabled for SMTP service. If the above-mentioned methods do not provide you the satisfactory results to solve Exchange 2007, 2010, 2013, 2016 error 12014 and users are unable to access their Exchange database. Then, users can take the help of a reliable third-party tool named as Exchange Recovery Tool. It is designed in such a way to recover corrupt or damaged Exchange Server Mailboxes in an absolute way. It has a simple and user-friendly interface that even a novice user can use it without taking an external help. This application helps to repair Exchange Private (priv.edb) & Public (Pub.edb) folders and STM Files as well. In the above write-up, we have discussed several reasons behind Exchange Error 12014. Also, we have covered both manual and automated solutions to fix Exchange error event id 12014 in a proper way. Thus, users can use any of the solution so they can resolve this issue without any data loss. Copyright © 2017 - 2019 recoverdeleted.org | All Rights Reserved.